Published: May 2, 2015 at 11:42 a.m. 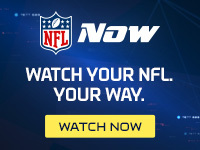 Updated: May 2, 2015 at 11:58 a.m.
Dallas has used two of their first three draft picks to focus on defense, but their most encouraging development involves a much-needed veteran. Cowboys executive vice president Stephen Jones said Saturday that linebacker Sean Lee "looks fantastic," per The Dallas Morning News. "As you might expect, he's ready to go." A healthy Lee would make a world of difference to the 'Boys, who plan to move the sixth-year defender to the weak-side slot in 2015. With Lee playing in just 17 games over the past three seasons, though, Dallas has been forced to live without the 'backer who tore his ACL last May. Rejoining a linebacking group that also includes Rolando McClain and Anthony Hitchens, Lee returns to the lineup as an immediate difference-maker. After also drafting cornerback Byron Jones and pass-rusher Randy Gregory, this Cowboys defense is a candidate to toughen up in 2015.